Show your customers your care about them. Simply adding the stock amount to a product page you make it more informative and customer centric. 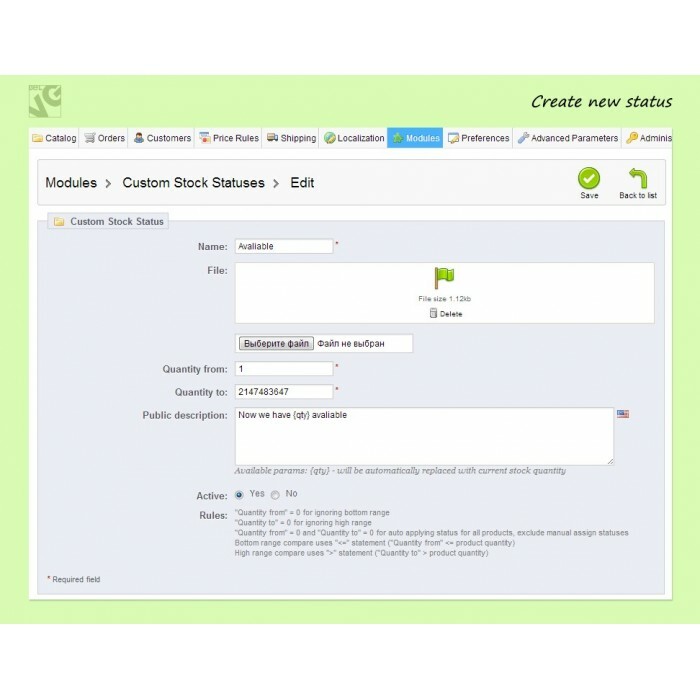 The default use of the Custom Stock Status module is extremely clear: you show visitors that there are almost no items left and it’s better to hurry up and make a purchase. But it’s not the only way you can use the module. 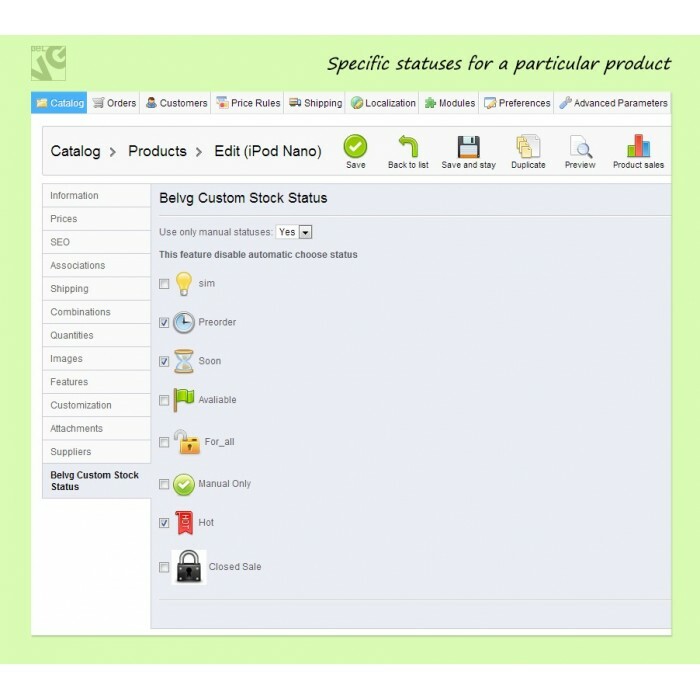 You can customize the product status with your own picture and text, and set up the rules of status appearance. 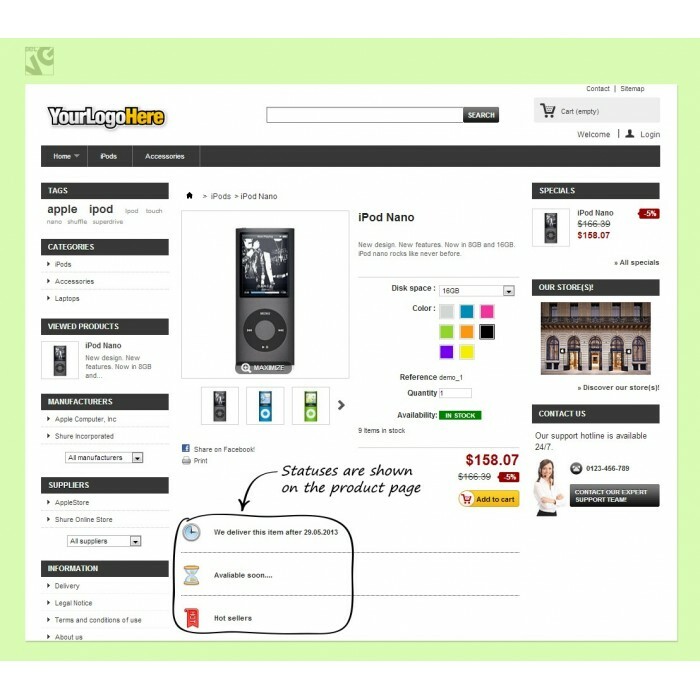 As a result you complement product page with the message you want to show your webstore visitors. 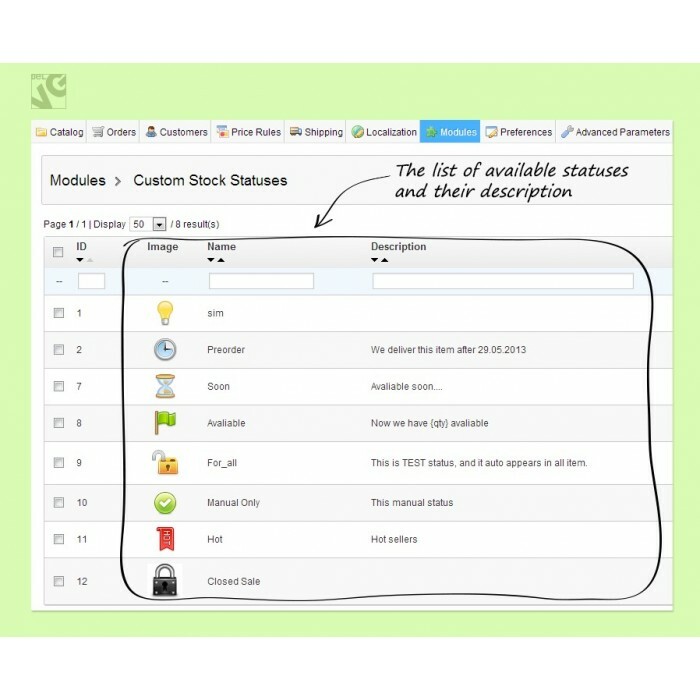 One more benefit of the module: you can add status to a particular item or to the whole group of products.